Former American NFL star, Aaron Hernandez, who was convicted of murder in 2015, has allegedly killed himself. 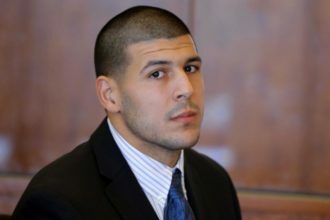 Hernandez’s death comes five days after he was acquitted of murdering two men in Boston in 2012. However, he was still serving a life without parole sentence for murdering his sister’s boyfriend, Odin Lloyd, in North Attleborough in 2013. 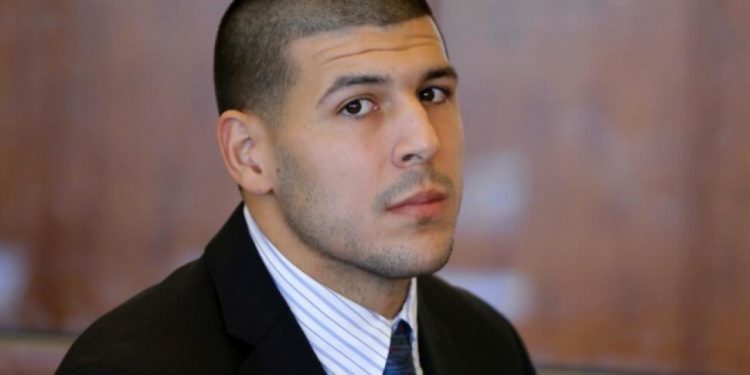 Prison officials say, Hernandez, 27, was found hanging around 3:05 am Wednesday morning in his Massachusetts prison cell in what seems to be an apparent suicide. ‘Lifesaving techniques were attempted on Mr. Hernandez and he was transported to UMASS Leominster, where he was pronounced dead at 4:07 a.m. by a physician at the hospital. It was however reported that he was not kept on a suicide watch neither did he leave a suicide note in his cell. Authorities are now investigating the death of the former New England Patriots star who was released in June 2013 immediately after his arrest for the murder of Odin Lloyd.